The pedestrian village has lots of new things to discover this winter season, including new addresses, new activities and improvements. 1- Renewal for Boutique Explore! Always on the cutting edge of technology and trend, the store underwent renovations last fall to maximize customer experience. Now completed, renovations brought a refreshed, better lit and modernized space. The main focus was put on design to create a more open and brighter space to better see the items in the store. First, the space was divided in two sections, one dedicated to women and another to men. The fitting rooms were completely redesigned and relocated. The new cash counter layout and the new updated design create a more convivial atmosphere that enhances our guests’ shopping experience. Renovations have renewed the entire boutique but one thing remains the same: you will always be able to count on a team of exceptional consultants at Boutique Explore! In the mood for a little excitement after a day of skiing? Want to try something new with your friends? 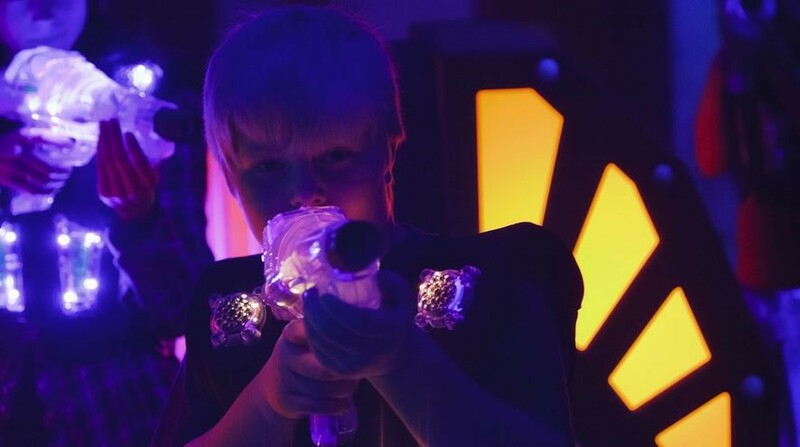 Head over to Mission Laser, the new laser game on the mountain! To emerge victorious, you will need to protect your position, avoid obstacles and storm enemy territory using teamwork and strategy. A truly adrenaline-filled experience! It’s like being in a life-sized video game. Players must be at least eight years old. Those who love the challenge of escape games will want to try the Volcano Escape, the brand new, 7th room at Mission Liberté, open just in time for the holidays! Go back in time to Mount Vesuvius’ eruption in Pompeii, Italy. Will you succeed in escaping the city or will you be forever imprisoned beneath the ash? Opening scheduled for December 23, 2017. 4-La Maison de la crêpe is moving! On December 1, 2017, La Maison de la crêpe will be moving to the red-roofed building in the heart of Vieux-Tremblant (formerly occupied by the Laurent Louis bistro). Same menu, but a new location and décor. Savour delicious crêpes for brunch, dinner or after a day on the slopes. Choux Gras Brasserie Culinaire: A new gourmet destination to discover at the foot of the mountain. Axe Lounge Bar: Gather around the spectacular central bar for a memorable après-ski, or at any time of year. Le Comptoir Cuisine du Marché: A new take on buffets, offering an abundance of choice and freshness. Breakfast, brunch and themed dinners in an atmosphere that will make guests feel right at home. Ricochet Café & Terrasse: A practical and inviting lunch counter. Eat in or order to go. Moment Spa: A world-class spa offering a variety of therapeutic and beauty treatments, along with a boutique selling quality body care products. In December, a new lifestyle and décor boutique will be opening on Rue des Remparts. Following the flagship Habitat store in Montréal, Habitat de Tremblant will offer quality items made by local, national and international artisans. From clothing for the whole family to decorative items for the home, without forgetting an assortment of books, toys and other accessories. Find a one-of-a-kind treasure for your house or cottage!